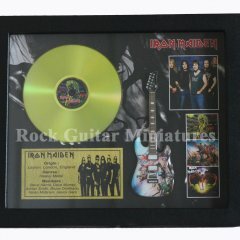 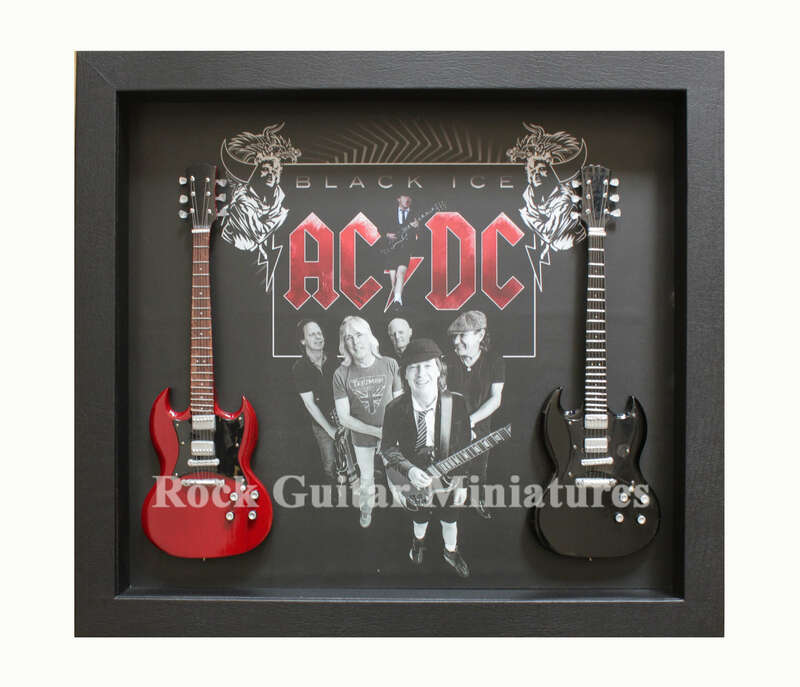 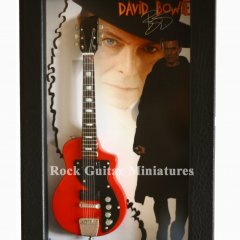 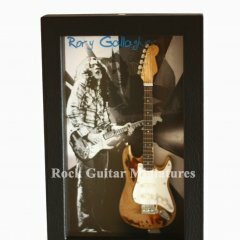 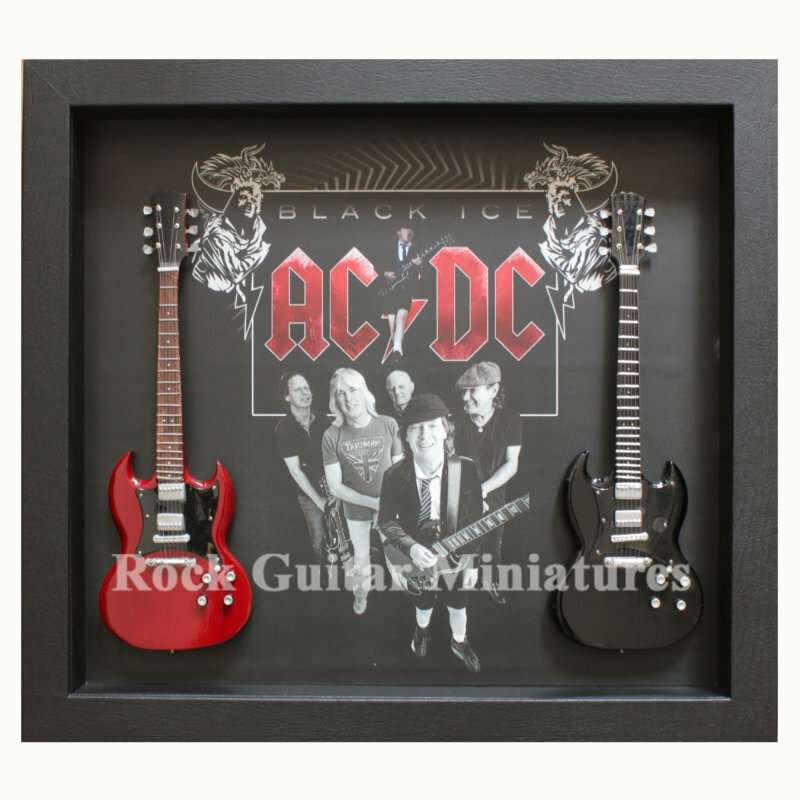 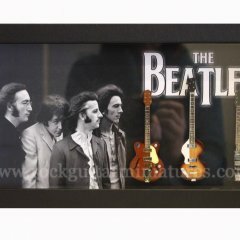 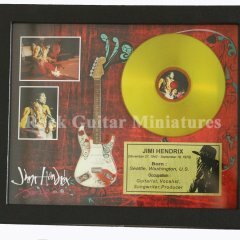 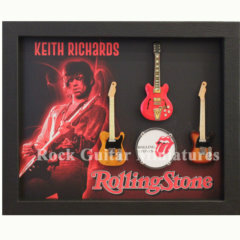 Wonderfully crafted hand made miniature guitars in a shadowbox frame. 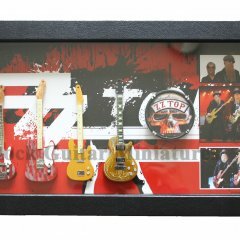 The shadowbox is a matt black frame measuring 20″ x 14.5″ with an inner white mount and has an inner depth of 2cm. 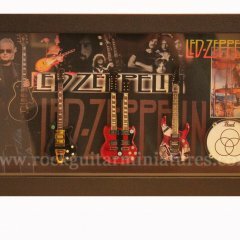 The guitars are 10″ (25cm) high.